aaj ke is post me mai aap sabhi ko batane wala hu ki aap kis trah se apne Disable Google Adsense ke liye appeal form fill karenge agar aap sikhna chahte hai to hamare sath bane rahe to chaliye suru karte hai. Google Adsense, Matlab Internet se earning kamane ka sanse aasan tarika.. kiyu ki isse paise kamane ke liye hamare pass website ya Youtube channal honi chaiye jispar ham ads dikha kar paise kama sakte hai. Agar aap Adsense istemal karte hai to aap iss baat se jarur pareshan hoge ki Invalid Click (farji click) se kaise apne account ko bacha ya kya kare jisse hamara Google Adsense account suspended / Disable hone se bacha sake. 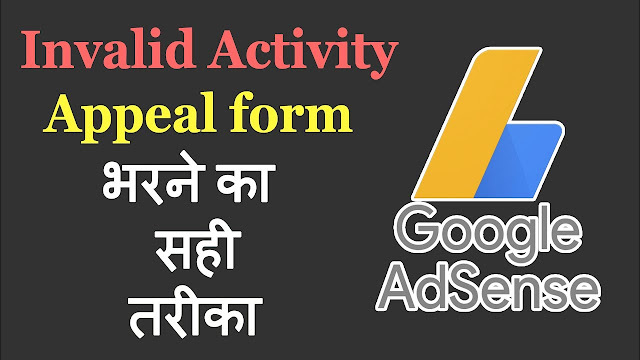 Invalid Click yani farji click jo adsense ke ads par ho wo hote hai.. or Google Adsense kisi bhi Invalid click ko aasani se samaj jata hai.. or agar limit se jada invalid click aaye to wo adsenseaccount suspended ya hamesa ke liye Disable bhi ho sakta hai. Important notice.. Sabse pahle mai aap sabhi ko bata du ke mai aap logo ko do trah ka Question or Answer is post me de raha hu. Pahle wale me aap ko 4 Question or Answer milega or Dusre wale me 5 Question or Answer milega. Jab aap appeal form par click karenge to agar aap ke samne 4 Question or Answer form open hoga to 4 Question or Answer wala use karoge ok agar aap ke samne 5 Question or Answer to aap 4 Question or Answer use karoge ok.
Answer – Users reaches to my contents via google search engine include google, bing or Youtube channel and other youtube features. Some traffic reaches via social also include facebook and twitter. 2. Question – Have you or your site, mobile app, and/or YouTube channel ever violated the AdSense program policies or Terms & Conditions? If so, how? Also, include any relevant information that you believe may have resulted in invalid activity. Answer – My some of youtube channels videos got one or two copyright strikes under community guidelines, but not have any invalid click activity before this. These violations also due to my mistakes, and happened unknowingly or due to negligence. I don’t me unknowingly. 3. Question – What changes will you implement to help improve ad traffic quality on your site, mobile app, and/or YouTube channel? Answer – First of all, I really apologize for any invalid activity and condemn like these activities and also for those mistakes which happened by unknowingly and my negligence. Further now, I assure to adsense and youtube to be genuine adsense partner. I started using adsense partnership about a year ago and tried my best to do and valid activities. If my adsense is restarted I will do everything according to adsense policies and try to get away from any invalid activity which violate any term and condition. 4. Question – Please include any data from your site, mobile app, and/or YouTube channel traffic logs or reports that indicate suspicious IP addresses, referrers, or requests which could explain invalid activity. Answer – Dear Google, this is first time that my adsense account is disable due to like this invalid clicks activity, I could not record my suspicious IP address, traffic log & reports. I also apologize again for this negligence too. As must as I know about my site or adsense I have mentioned. I only appeal to ignore any server or light invalid activity to my accound and give me first and last chance to work properly on my adsense account. I accept my mistakes which happened by unknowingly and my negligence. 1. Question – How do users get to your site, mobile app, and/or YouTube channel? How do you promote your content? Answer – have not had any invalid click activity before this. These violations also due to my mistakes, and happened unknowingly or due to negligence. I don’t me unknowingly. Answer – From my points of view the main reason for my account revoked might be ” the My Competitor Might have done some invalid activities or there might be some people who don’t have proper knowledge on how to use the app. This might be the reason for my account deactivation. Answer – First of all, I really apologize for any invalid activity and condemn like these activities and also for those mistakes which happened by unknowingly and my negligence. Further now, I assure adsense to be genuine AdSense partner. I started using Adsense partnership about a month ago and tried my best to do and valid activities. 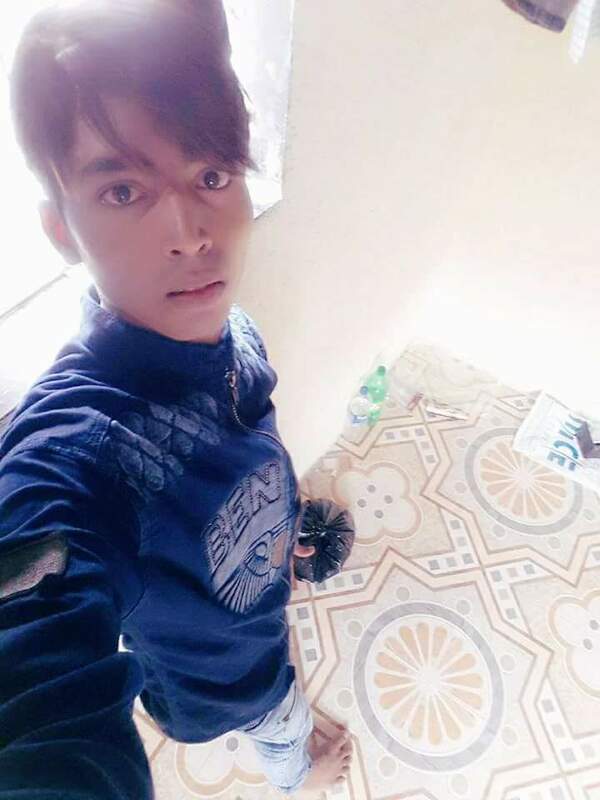 If my Adsense is restarted I will do everything according to AdSense policies and try to get away from any invalid activity which violates any term and condition. Answer – Dear Google, this is the first time that my AdSense account is disabled due to like this invalid clicks activity, I could not record my suspicious IP address, traffic log & reports. I also apologize again for this negligence too. As must as I know about my site or AdSense I have mentioned. I only appeal to ignore any server or light invalid activity to my account and give me first and last chance to work properly on my AdSense account. I accept my mistakes which happened by unknowingly and my negligence.